I Cheated in 3rd Grade Math | Where's My Eraser? I have a secret to share with you all: I cheated on one of my 3rd grade multiplication quizzes, and it was all because I was obsessed with getting to the top of Multiplication Mountain. Many elementary school classrooms feature a similar approach to teaching times tables. Students get to move to the next level after mastering a set of numbers, from their 3s to their 4s, their 4s to their 5s, and so on all the way up to 12s. In my case, that meant the summit of a very impressive peak on our classroom’s massive bulletin board. My teacher had clearly spent hours putting it together, with each of us getting a little posterboard figure to move along as we progressed upward. My teacher would sit us down, one by one, and go through each set of flashcards while the other kids worked at their desks. We had to get every single card correct in that set of numbers in order to move onto the next one, and if we got any wrong, we couldn’t retest until the next day. I was ravenous to get to the top as soon as possible. From the earliest I can remember, I was determined to be one of the best in the class at absolutely everything academic. But when I got to the 7s, I had met my match. About halfway through her testing me, a card came up that I answered wrong. However, through some alignment of stars, another student asked her a question just at the moment when I said the wrong answer. After she replied, she turned back to me and asked me to repeat my answer. She hadn’t heard me the first time. I had been sitting there with my mind racing about whether I should be honest and repeat my error, but I decided to give her the correct answer, and she was never any the wiser. Of course this story is comically irrelevant. I’m not actually remorseful for this one little untruth that I committed when I was 8. But it certainly brings back a lot of memories about how much I cared about school, how much of my identity and self-worth were wrapped up in my academic achievements. I cared so, so much. I was among the first 1/4 of the class to get to the top of that mountain. I suspect that most of my college friends would be able to say the same. Because of that, I really can’t imagine what it would be like to be one of the last kids to the top. I can’t imagine what it’s like to have all of your classmates know exactly how much you’re struggling to achieve something that’s so easy for others. Chances are, my teacher’s honest attempt to make learning fun wasn’t much fun those kids. These sorts of learning schemes are meant to encourage positive competition, and until I became an educator, I had always had fond memories of them. I had benefited from a drive to be the best, unwavering help from my family, and the natural abilities that allowed me to succeed. It was easy for me to be interested in the competition, and I had just the right things going for me to be encouraged by that mountain. But did it help the kids who needed that encouragement the most? Teachers work their hardest to ensure that all children master material, but some students fall behind and sometimes in a very public, socially difficult way. After a lot of reflection, it occurs to me that this competition system smacks of meritocracy, a system of winners and losers in which those at the top receive praise and accolades and those at the bottom, well, we probably won’t even mention them. In reality, those who benefit most from competition would probably be the ones to excel anyway. The space race of the 1960s and 70s was between the world’s two superpowers, not developing nations trying to develop basic infrastructure. Perhaps every country had an equal opportunity to compete, but very few had the necessary resources to do so. Notions about the benefits of academic competition are hard to shake, however. School was easy for me, and I have a lot of great memories because of it. Sometimes, my own sentimentality is a barrier to meaningful consideration of what struggling students need. I want to resist the notion that something that worked for me as a student was detrimental to another student’s learning or even self-worth. Lately, however, I’ve been trying to give a lot more thought to students who struggle in school far more than I ever did. I think a lot more about what policies and practices help those kids succeed and help highlight the successes that they achieve in their own time and in their own ways. Some may say that life means that some people do better than others and that it’s better for kids to understand that reality from an early age. That’s true, but a student doesn’t need her academic achievements, or lack thereof, broadcast to the entire class in order for her to learn that lesson. Sometimes, we need to take a step back and consider what will benefit every student in the classroom, not just the ones who are sure to be first to the top. 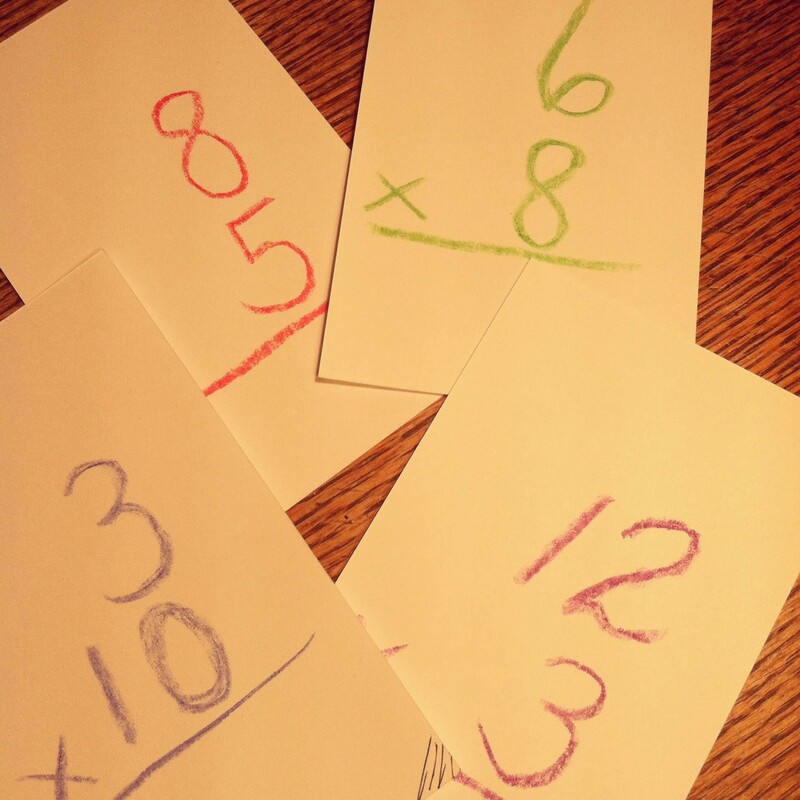 This entry was posted in Education Policy, Elementary Education, Teaching and tagged #elemchat, 3rd grade, cheating, edchat, Education, mathed, meritocracy, teaching, times tables on May 13, 2014 by Chris Thelen.